IT/ITeS expansion coupled with the strengthening metro network has given a fillip to the housing rentals in East Hyderabad. Rajendra Nagar, Bachupally, Nagole, Uppal and LB Nagar (East) are the key micro-markets which have benefitted from the development and recorded an average rental growth to the tune of 10-20 percent, YoY. As western Hyderabad stays put as the key IT destination of the city backed by the increased activity of IT/ITeS and Multi-National Companies (MNCs), popularity for temporary housing in the region reported a healthy uptick. However, demand-supply disequilibrium and surged rental values have led to a marked shift in the realty demand from the West to other pockets of the city, particularly the micro-markets along the eastern corridor. While many areas in the East met tenant’s requirements, the most preferred were Rajendra Nagar, Bachupally, Nagole, Uppal and LB Nagar (East). Apart from augmented demand, these localities also reported a hike of 10-20 percent in their average annual rental prices. The Hyderabad metro corridor II, that became operational in November 2017, has remarkably impacted the realty sentiment along the stretch. The development had a significant bearing on areas such as Nagole, and Uppal, resulting in a steady growth in the average capital and rental values. While average weighted capital values grew by 2-3 percent, QoQ, average rental prices recorded a 10-15 percent hike, YoY. The corridor linking Nagole with Ameerpet has brought immense relief to daily passengers. Working professionals travelling to HITEC City, Jubilee Hills and Madhapur from Nagole can make hassle-free travel till Ameerpet. This has reduced the overall travel time by half an hour. The government also planned to develop the third corridor which will be an extension of the second corridor and will connect Nagole to Raidurg. Once completed, it will decrease the travelling time further. Proximity to IT/ITeS hub of Gachibowli and Madhapur, coupled with lower leasing values, has driven rental demand in Rajendra Nagar and Bachupally. While average rentals in Gachibowli and Madhapur hover around Rs 18 per sq ft per month, the weighed monthly rental prices in Rajendra Nagar and Bachupally stand at Rs 14 per sq ft. Moreover, the State authority’s plan to develop Rajendra Nagar as the new IT hub of Hyderabad has also pushed the realty sentiment up. The trend is likely to continue in future. As premeditated, the IT hub will be developed as a cluster of 28 companies. It is touted to create 1.2 lakh job opportunities. Besides, the government also mulls to expand the Rajiv Gandhi International Airport at Shamshabad as an airport city and develop a logistics park at Rajendra Nagar. For the past many decades, Rajendra Nagar was famous for the agricultural university. But in last few years, several gated communities have sprung up, and people from the IT/ITeS sector have moved in. However, as most of the migrants are young professional, they prefer renting over owning a property. Holistically, the area has all it takes to be an IT hub. It is easily accessible from the city, and there is a lot of scope for real estate expansion and infrastructure development. The population of Hyderabad has risen from 7.3 million in 2013 to 10.86 in 2017, and is estimated to reach 11.57 million by the end of 2018. 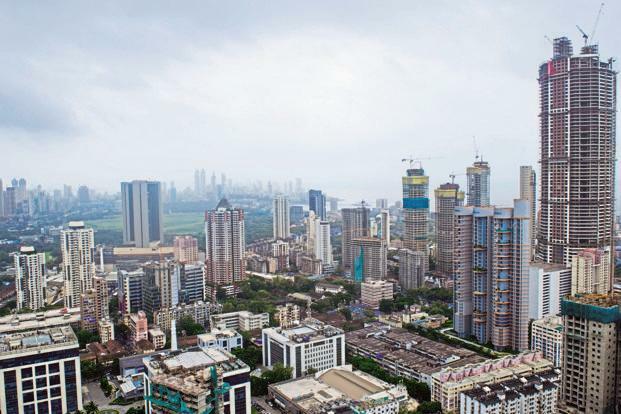 The surge in population has put tremendous pressure on the existing infrastructure and popular pockets, thereby paving the way for residential avenues in the fringes. Additionally, Hyderabad’s global admiration has been a key factor that has contributed to the realty expansion. Thus, there has been a constant hunt for new areas which are easily accessible from above mentioned IT hubs and have ample land fortunes to meet the needs of the growing population. Resultantly, this led to the emergence of Rajendra Nagar, Bachupally, Nagole, and Uppal as the new realty destinations in Hyderabad.